We take pride in our town and invite you to enjoy our accommodations and shopping opportunities. 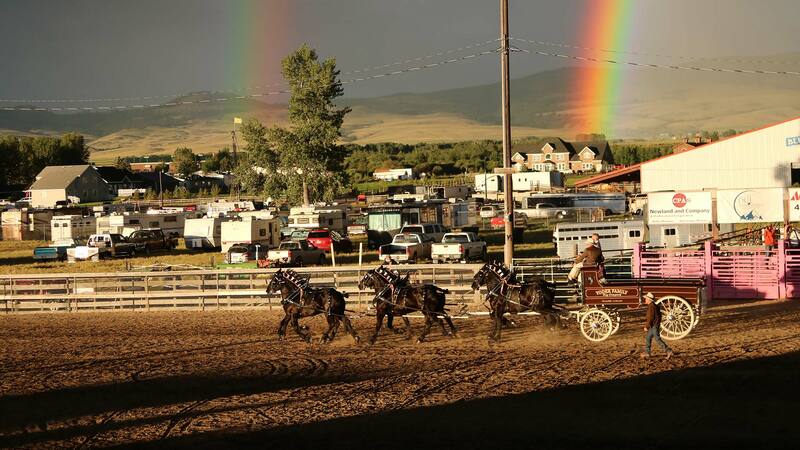 Wear your wrist band around town and let everyone know you are here for the draft horse show. We could not put on this event without the support of the business and individuals who advertise in the program, sponsor classes, offer other financial or like support. Listed on the National Register of Historic Places, the Old Montana Prison was built by inmate labor, this turn-of-the-century fortress was home to at least one member of Butch Cassidy's "Wild Bunch". Guided and self-guided tours lead you through the intimidating Cell House and into the chilling slide bar cells and black box of Maximum Security. Wide open spaces, the hard-working cowboy, his spirited cow pony, and vast herds of cattle are among the strongest symbols of the American West. Once the headquarters of a 10 million acre cattle empire, Grant-Kohrs Ranch National Historic Site is a working cattle ranch that preserves these symbols and commemorates the role of cattlemen in American history. The pure enjoyment you can experience in Deer Lodge and Powell County is limitless: hiking, riding, snowmobiling, cross country skiing, fishing, hunting, pack trips, and photography - all at their very best. Deer Lodge has a variety of nice local restaurants, sandwich shops, and several Chain Restaurants and Fast Food places to eat.